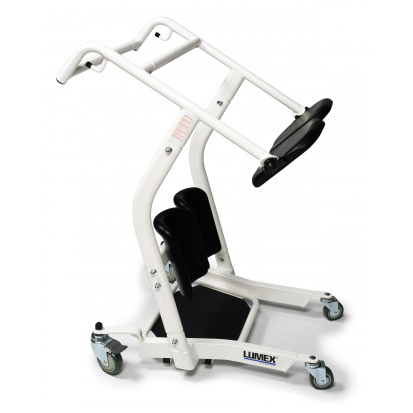 Lumex Stand Assist patient transport lift keeps the resident actively engaged in the transport process. 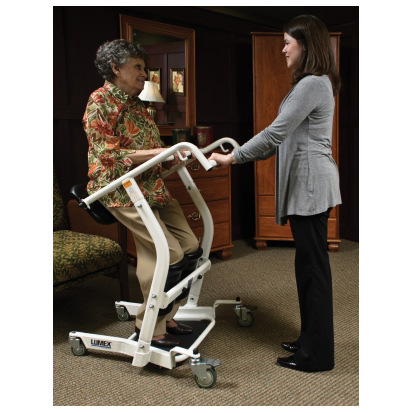 Stand assist transfer aid is quick, convenient, and requires minimal caregiver assistance. 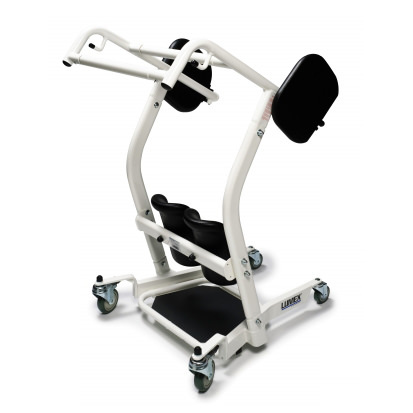 Standing transfer aid supports users to grasp the middle bar and use their own strength to pull themselves up into position. 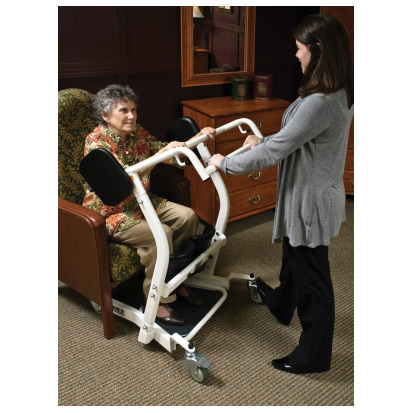 Stand assist patient lift features padded split seat that swings out to allow loading or unloading, then swings back to form a comfortable and stable transport seat. 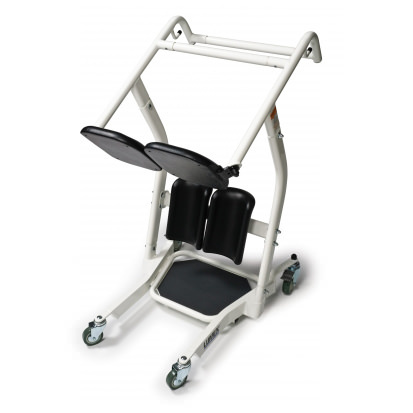 Stand assist aid provides padded dual knee pads and seat pads for comfortable transport. 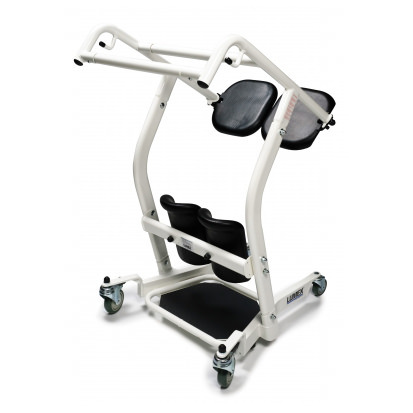 Stand assist patient aid fits easily through narrow doorways and affordable alternative to electric sit-to-stand lifts. Inside width - front 13.5"
Inside width - rear 22"